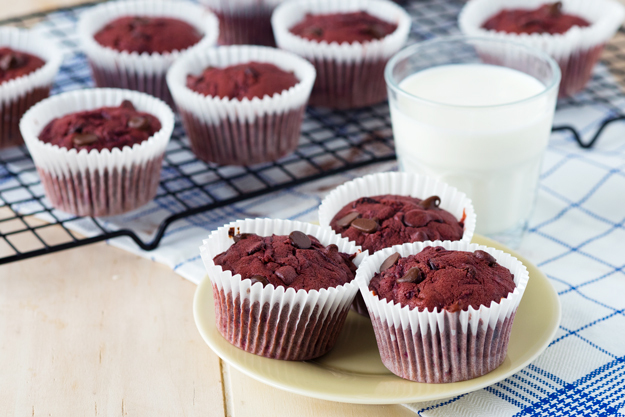 These Chocolate Beet Muffins are a real surprise! The beets make these muffins incredibly moist and hearty. The earthy flavor of the beets highlight the rich chocolate taste. 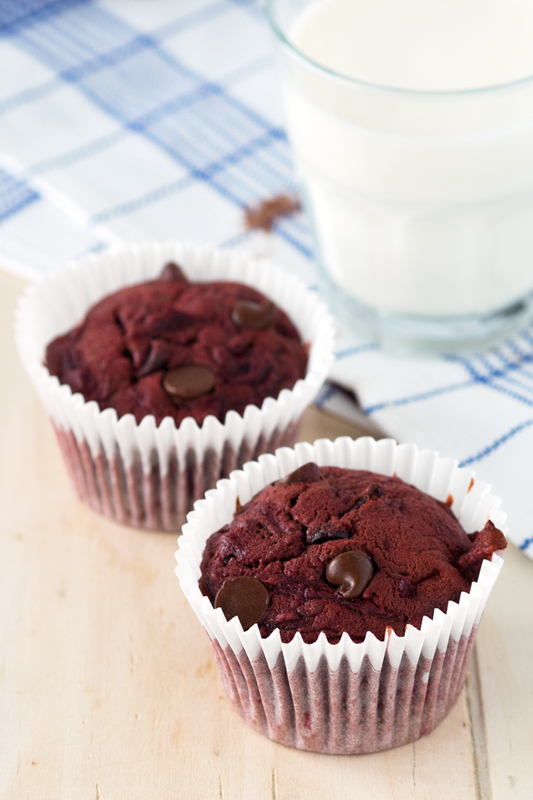 It’s the perfect breakfast muffin with a dose of vegetable and touch of chocolate. Here’s a secret when you’re the main cook in the household. Booby trapping food can give you so much joy! My husband hates the combination of fruit and meat (ie. pork and apples). If you tell him the meal had fruit and meat in it, no matter how fancy schmancy the meal was, or no matter how many hours I spent cooking the meal, he automatically won’t touch it. So it became a thing to booby trap his food. If I made meatloaf, I would grate an apple into it. 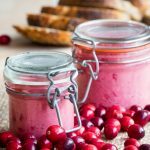 When I made turkey for Thanksgiving, I filled the unseen cavity with oranges, apples and cranberries. When I made ham, I infused it with pineapple juice. Little did he know, it became a game for me to see how much fruit I could hide in his food before he noticed. 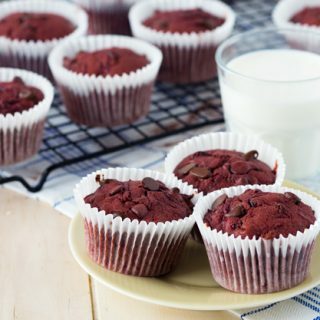 This recipe for Chocolate Beet Muffins is a real booby trap because it looks like it could be an unfrosted red velvet cupcake. But instead, the muffin is packed with beets, which give it its scarlet hue. 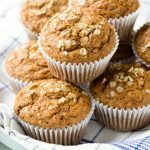 The beets also makes these muffins so moist and hearty, so don’t be expecting a fluffy muffin that’s light as a cloud and will leave you hungry an hour later. 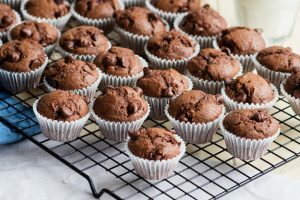 The secret ingredient makes this Chocolate Beet Muffin breakfast worthy and a bit healthier than a red velvet cupcake too. 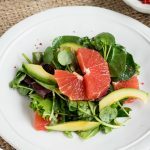 The beets add a natural sweetness, meaning there is less sugar in the recipe as compared to a red velvet cupcake, and you get a dose of vegetables to start the day. You can see in the picture of the ingredients above that I grated the beets into rather long strips. I preferred it this way because it kept the texture of the beets in the muffin. 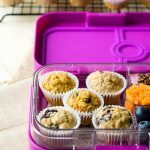 If you wanted to, you could grate the beets into smaller pieces to make it less obvious that the muffin is packed with grated beets. I have to point out that the earthy flavor of the beets does run through these Chocolate Beet Muffins. So while it looks like a red velvet, it has a more complex taste that is carried by the shredded beets, though complemented by the chocolate. 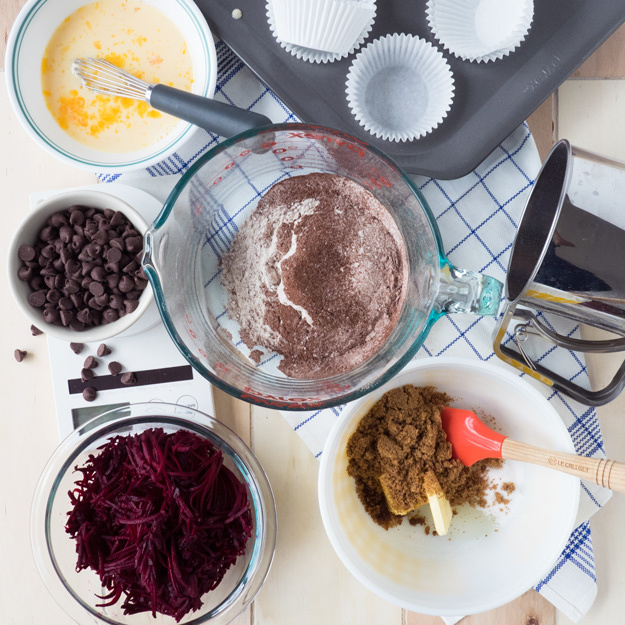 These Chocolate and Beet Muffins are a real surprise! The beets make the muffin incredibly moist and hearty. The earthy flavor of the beets highlight the rich chocolate taste. 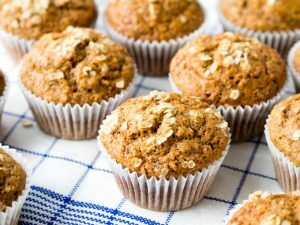 It’s the perfect breakfast muffin with a dose of vegetable and touch of chocolate. 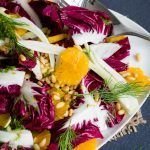 Peel the beets and grate in food processor with a grating disc. Set aside. In a medium bowl, sift together the flour, cocoa, baking powder and salt. 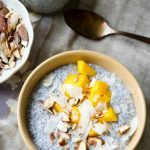 In a small bowl, whisk together the eggs and milk. In a large bowl using a hand mixer on medium speed, cream together the sugars, butter and oil. Using the hand mixer on low speed, beat in the egg mixture. Slowly fold in the flour mixture. Using a spatula, mix in the grated beets and chocolate chips. Evenly divide the batter into 12 muffin cases. Each case should be about ¾ full. 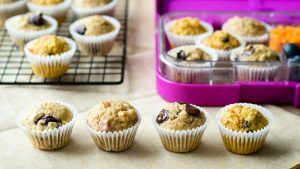 Bake for 20-25 minutes, until the muffins are springy to the touch. Remove from oven and allow to cool in the pan for 5 minutes. Transfer to a cooling rack to finish cooling. 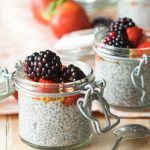 I tried these, because I wanted to make something for breakfeast and use up few spare beets I head in the fridge that really needet to go. 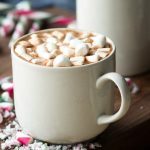 I had no chocolate chips at home, so I left them out and they still tasted awesome – so if anyone thinks about that, I tried it out and you can totally do it. They are nicely moist and even with beets grinded quite coarse, you don’t really taste the beets (my BF didn’t), and they are super quick to make. Thank you for the great recipe. Amazing, Thank you! I’m a believer that if I introduce a vegetable 100 times, in different ways, my kids will eventually grow to like or tolerate said vegetable. I normally I won’t disguise a vegetable to get them to eat it! In fact, I always say my kids eat anything! But really they eat anything except BEETS and SWEET POTATO. That said, I finally got my youngest kid to accept beets grated raw with dressing, rather than cubes, or roasted! However, the oldest is still standing after 12 years and just won’t eat beets. Fast forward to my organic box subscription, and I have 4 golden beets just sitting there, with no options to feed the family! 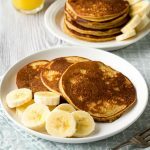 Google introduced me to you and my youngest and I decided to give this recipe a try! We LOVED that you provided weighted measurements, as this is really how we prefer to cook! We made the recipe EXACTLY as described with one tiny exception. We used a hand grater for the beets, which properly resulted in a finer grate, I imagine this only improved the cupcake/muffin. IT”S amazing! That little 12 year old is a skilled baker who kicks everyone out of the kitchen to make her own cakes filled with ganache and topped with buttercream. That little 12 year old had NO IDEA, that golden beets were hidden in her dessert! THANK YOU!! I’ll note I let her taste and fall in-love with them warm. I can’t wait to hear the report after school today! And, since we’ve only used 2 beets, the next 2 are getting this same treatment!! OUTSTANDING!! 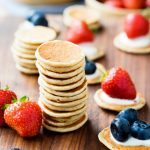 Based on this recipe I’ll be checking out the rest of your website! Hi Mary, thank you so much for that thoughtful message. Comments like yours really make blogging heartwarming for me, and I love that I was able to help your 12 year old enjoy beets. Way to go for having the perseverance for introducing so many veggies to your kids too. That is very impressive and I strive to do that with my little one. Equally impressive is your 12 year old baking fancy cakes. Sounds like you are doing a lot of right things in your kitchen!